Why is there a spike in divorce numbers in September? As the kids go back to school after the long summer break, and work routines go back to normal, so the divorce rate in England rises. Statistically, September sees the second highest peak in divorce rates, after January. So why do so many people make that call in September, just after the summer holidays? We put huge pressure on ourselves to have a good time over the summer, booking holidays to the sun, and anticipating fabulous “quality time” with our families and loved ones. The media teaches us to expect blue skies, constant fun and laughter. Holiday companies woo us with advertising slogans like Tui’s “Discover your smile”, and pictures of perfect smiling couples and families. But, like Christmas, it doesn’t always turn out as planned. If your relationship is strong, the summer can indeed be a wonderful time of beaches, time out, fun times spent with your spouse and/or kids. But if there are cracks, then there’s nothing like a family holiday and having the kids at home for 6 weeks to turn a crack into a ravine. 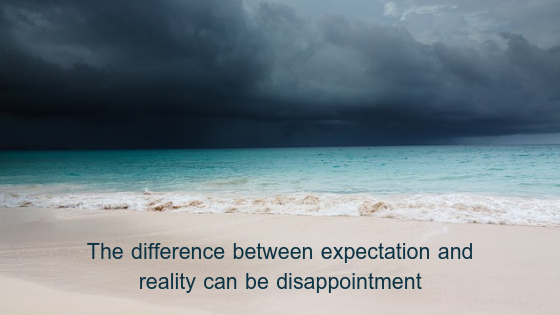 For many of us, the difference between expectation and reality is disappointment. If there are cracks in a relationship, it’s easy to pin all your hopes on a wonderful holiday to fix it. I don’t think it’s any coincidence that my own separation followed shortly after a family holiday that I don’t remember as being particularly relaxing – the cracks were definitely there. September is also when many older children fly the nest – perhaps leaving for college, university or travels abroad. This can be a challenging time for many couples, who look at what’s left and wonder what is holding them together now that there are no children at home. Don’t be afraid to ask for help. You might also want to talk to a coach or therapist, and let your employer know what is happening. Make sure you are eating, drinking (not excessive alcohol! ), resting and doing a little exercise. Add an exercise buddy to your support network. Your body will need fuel and strength as you go through your divorce. Divorce is like riding an emotional rollercoaster. You may find that you feel just great one day, and terrible the next. Emotions are like persistent visitors to your door with an important message. They will keep knocking until you let them in, acknowledge them and listen to what they are saying. Go easy on yourself, and do something kind for yourself every day. Buy flowers, have a hot bubble bath, read a great novel, go for a walk, talk to a friend, arrange a coffee. Try to find something in your day that you can be thankful for. For more detail on these and more, click to see my previous blog on surviving the early days of your divorce. And as you stand at the school gates this September, wondering who has survived the summer, and who hasn’t, remember that although divorce is an ending, it can also be a beginning. It can be the beginning of the rest of your life. If you would like more information about divorce coaching with me, please get in contact, and let’s talk. I look forward to helping you.